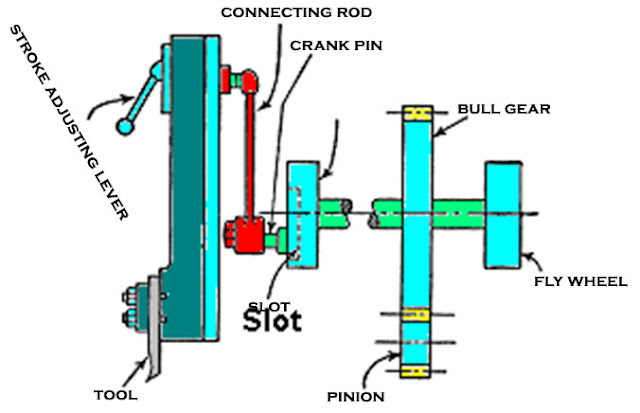 A Slotting machine may also be known as heavy-duty shaper. Slotting machine resembles a shaping machine in all respect except that the ram instead of reciprocating to and fro in the horizontal plane, moves up and down in the vertical plane. 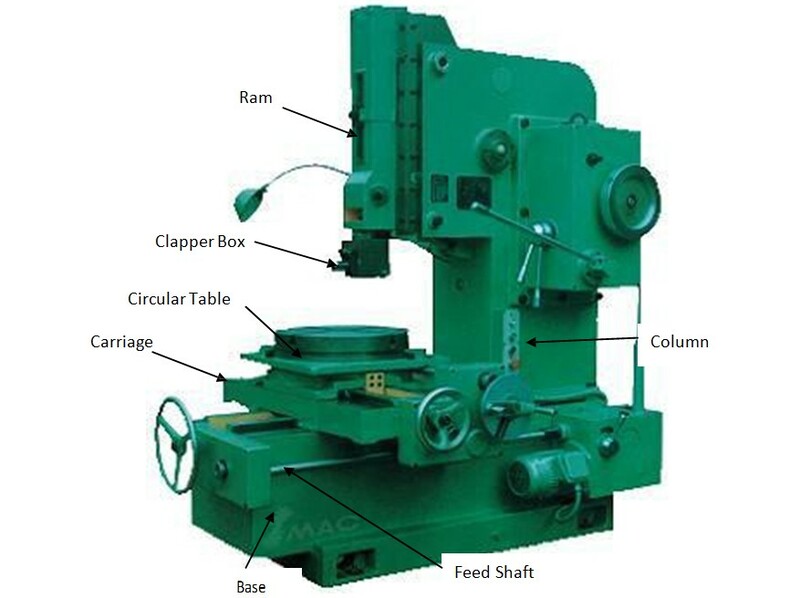 Therefore, the slotting machine is sometimes called as vertical shaper.